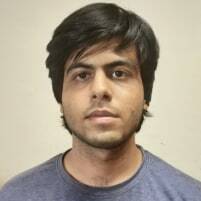 I am a 3rd year BSc(Maths + Computer Science) student at the Chennai Mathematical Institute and have been working with Haskell for more than 4 years. In 2017, I worked on a Haskell Summer of Code project on haskell-ide-engine, rewriting it to support the Language Server Protocol, and making it a viable tool for daily use. This year, I am working on a GSOC project on "Making GHC Tooling friendly", which aims to ease the process of writing Haskell tooling that works across platforms, package managers and build tools(stack, cabal, nix, make etc.) by integrating the features we need to write effective and fast tooling into GHC itself.